Running a business on your own is hard. Growing it is even harder. You’re the owner, the manager, the one with all the ideas. You’re the marketer, the salesperson, the bookkeeper, the receptionist. Oh, and you also make the tea. You feel like you’re working 24/7, and you daren’t go on holiday because your business is all about you. Days go past in a whirl, but despite being so busy nothing seems to get done. Worse, a lot of the time you feel you’re over-promising and under-delivering, which you hate. That was never the plan when you set out to be your own boss. Most of your friends just don’t get it. They think that with all the hours you put in you must be a millionaire by now. Your partner definitely doesn’t get it because your work-life balance is a frankly a joke. When you’re at work you feel guilty for not being at home but when you’re at home you’ve always got one eye on your phone. And you know your business could be more than it is. You know this because you see it happening for other business owners. So now you’re wondering whether you could maybe use some help — and that’s where I come in. I know how it feels because I’ve been there, and that’s why I now work with business owners just like you. They’re people with their own service-based micro-businesses, people who are also seeking a fresh perspective. And with my help, they’ve climbed off the hamster wheel and started to make real progress. I believe passionately that micro-business owners should be able to access fully affordable first-class support, coaching and mentoring — and that’s exactly what I deliver. It’s rarely about making millions. It’s about making your business work for you and creating the lifestyle you deserve for you and your family. Think of me as your ‘business architect’. I’m here to help you step back, take stock, make a plan, and lay the solid foundations you need to build your business. The bigger your thinking and the stronger your business, the more value you can add — to yourself, your family, the economy, and to the world. And unlike many other coaches, I don’t over-pitch and then under-deliver. I don’t just focus on the numbers and moving parts of your business, tick a few boxes, and then move on. Instead, I get to know who you are, your aspirations, what’s easy for you, and what takes you right outside your comfort zone. I’ll show you exactly why you’re getting the results you are currently getting — and how to change all that. When you work with me, you enter a bullsh*it-free zone. Our focus is solely on getting you where you want to be as a person and then growing your business around that. At any one time, you’ll find me working with around 20 clients, all of them delivering services through their micro-businesses. Their long-term goals vary of course, but they do share a lot of financial goals. And one of these is the £10k month — I’ve helped many clients rise above scraping by to the point where they’re registering for VAT. Your first step is really simple. 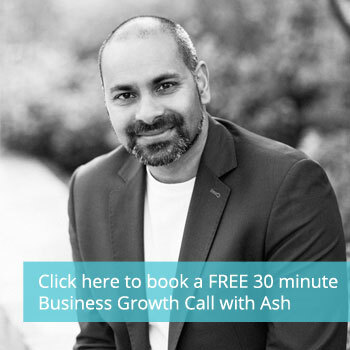 Just schedule a FREE 30-minute business growth call with me by clicking on the link below. When we talk, I’ll get enough insight into you and your business to know if we’d be a good match, and if we are which coaching approach would work best for you. Get started now by clicking on the link above! Don’t regret the things you don’t do. Regret the things you do. 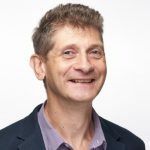 "Ash holds you to account (in the nicest possible way)"
"got to the root of the problem"
Kehorne recently made excellent use of a few hours with Ash who insightfully got to the root of the problem we were experiencing. © 2017-2019 In2Out Business Ltd. All Rights Reserved. Built by WP Doctors.